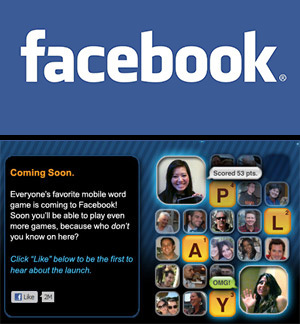 Zynga finally released Words With Friends on Facebook earlier this month. It had long been rumored that it would happen, but it is now official. This week Facebook released it’s Top 10 game rankings and Words With Friends has already moved up to #8, with 10.8 million players. Those numbers are mind-boggling. You need a Words With Friends Cheat site now more than ever, so you can play against your old high school teachers and take them back to school!